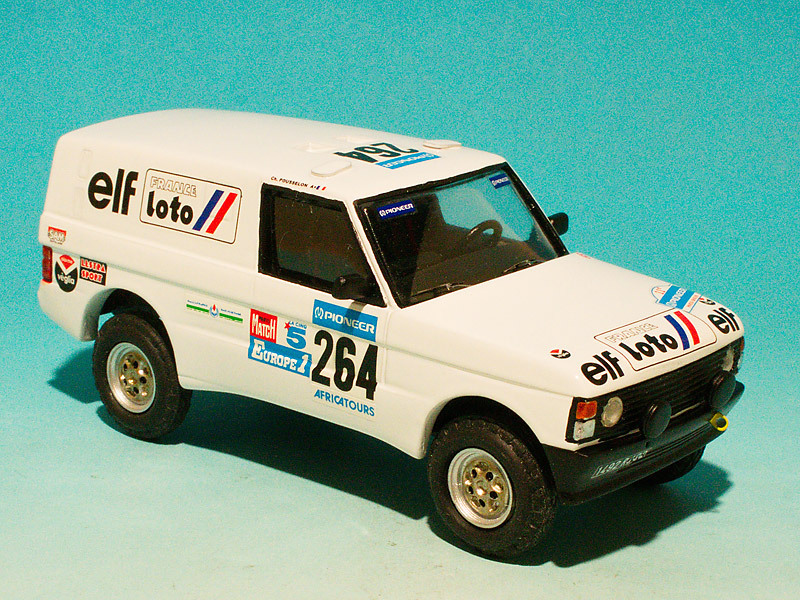 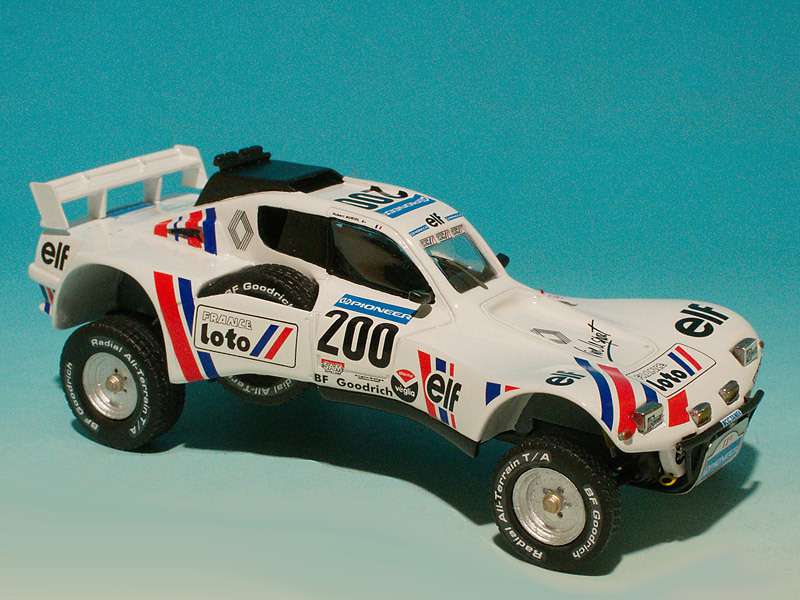 The Loto Buggy driven by Hubert Auriol in the 1989 Dakar Rally, together with the Range Rover Halt'Up support car, ref 21303 and 21304. 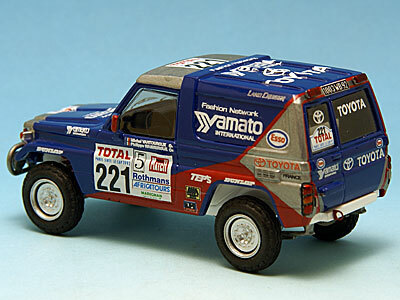 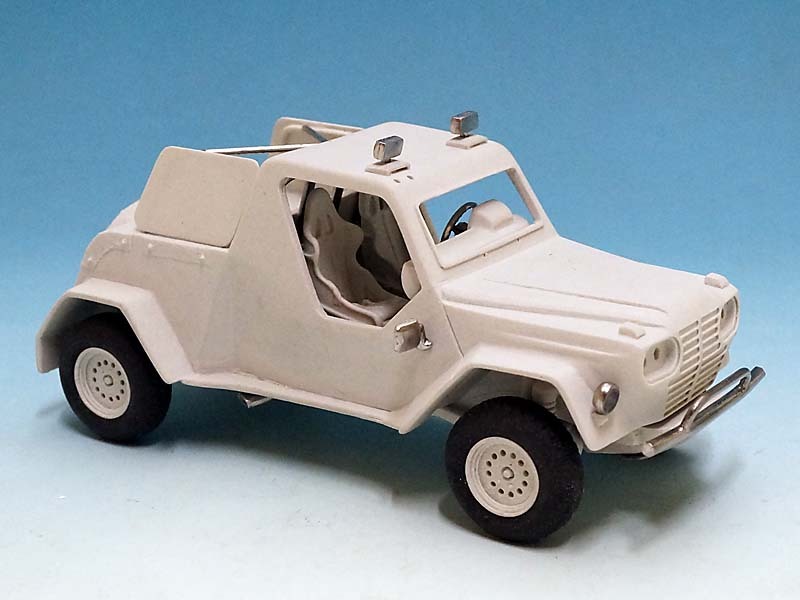 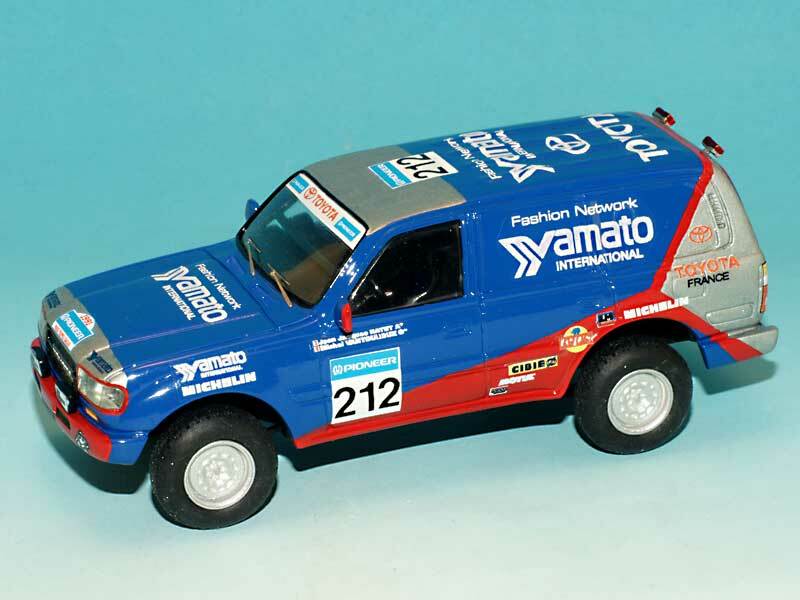 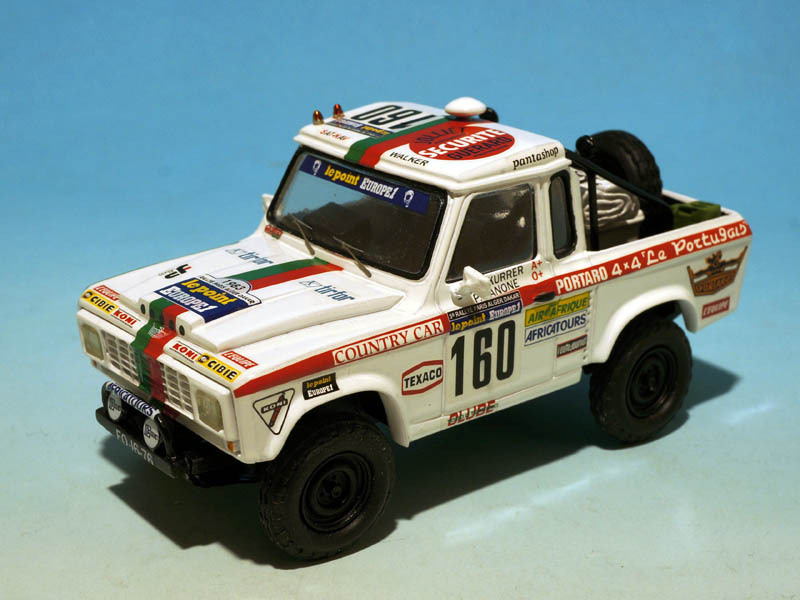 A new Terrano Nissan, driven by Gianni Lora Lamia during the Paris Syrte Capetown in 1992, more detailed chassis and small body changes. 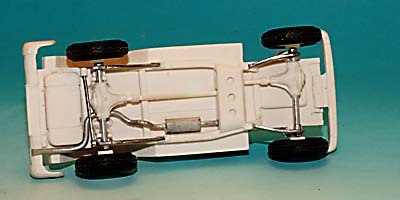 modified with more details on suspensions and transmissions. 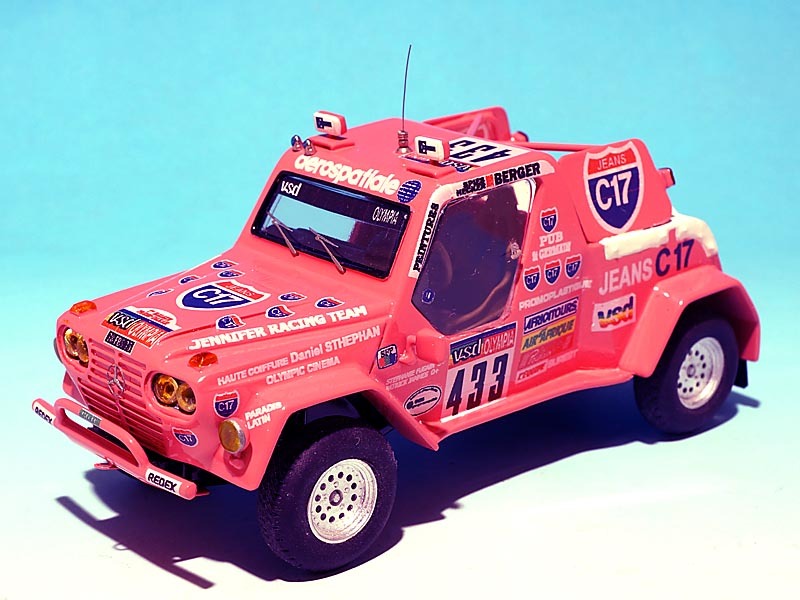 This is the car driven by Stéphanie Fugain and Patrick James in 1985, sponsored by C17 Jeans. 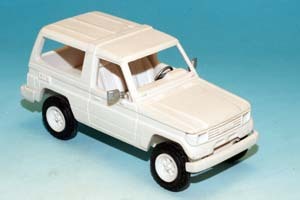 The 1983 Portaro made in exclusivity for M43Modelismo is now available, you can obtain it only by M43. 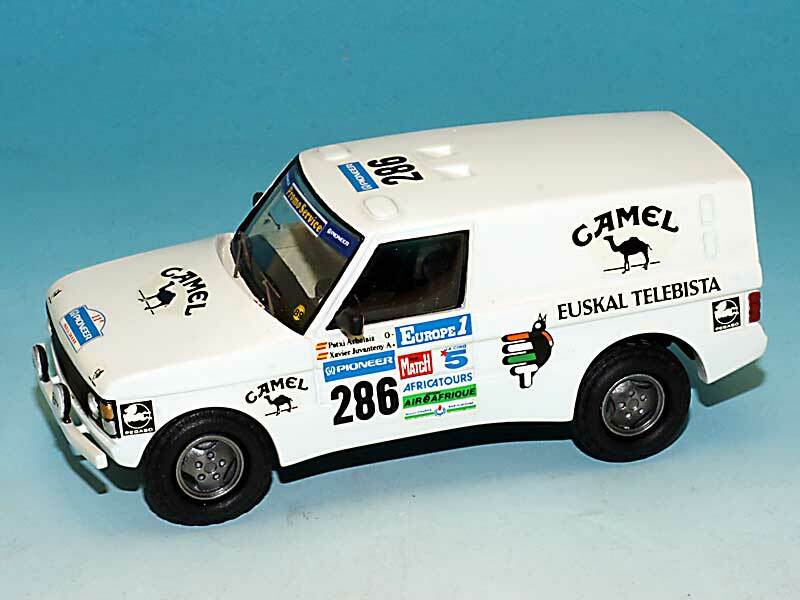 Tambay modified Range Rovers...................I think the Rover 3500 Prototype was a bit more astounding! 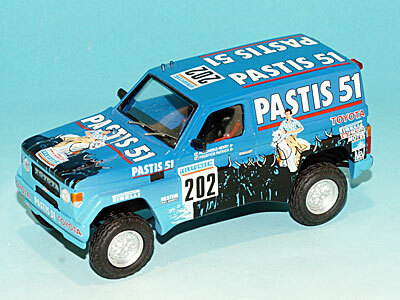 Following are long awaited reeditions of the Pastis 51 Range Rover Team, with Pescarolo, Ragnotti andGabreau, as well as the 110 Land Rover of Mano Dayak. 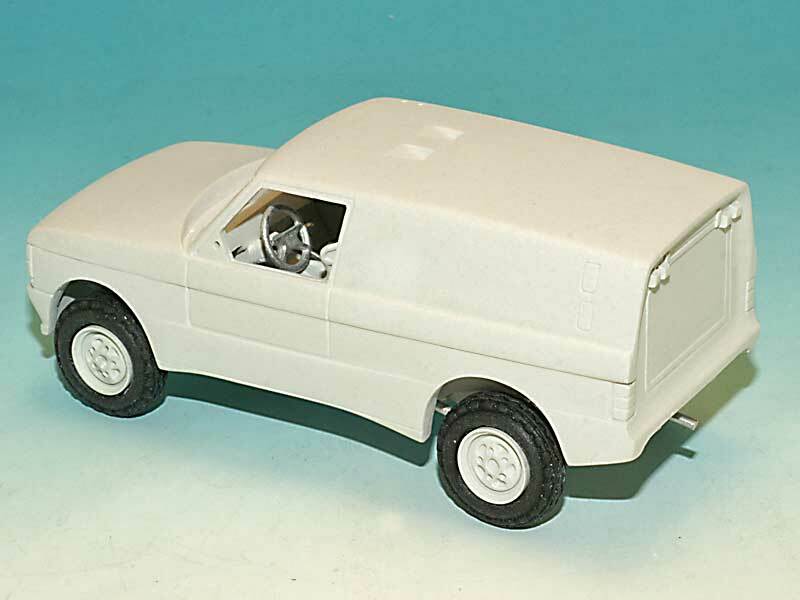 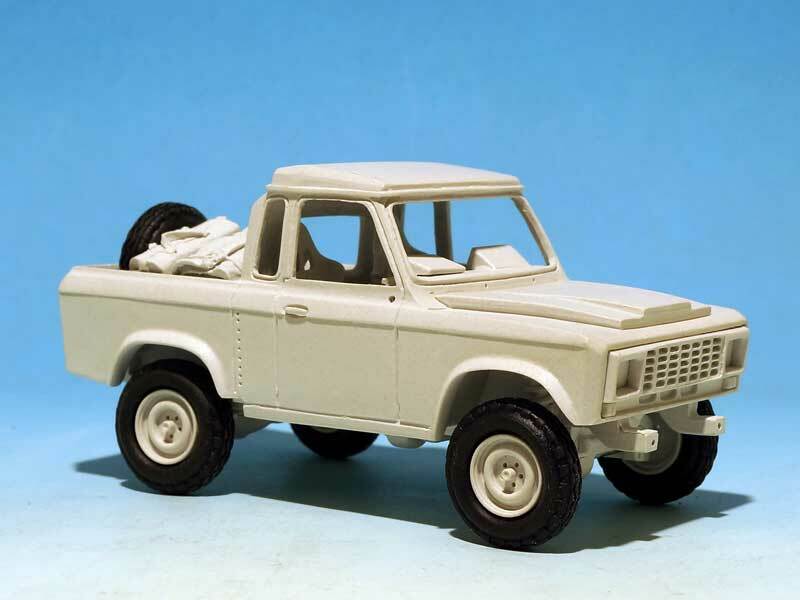 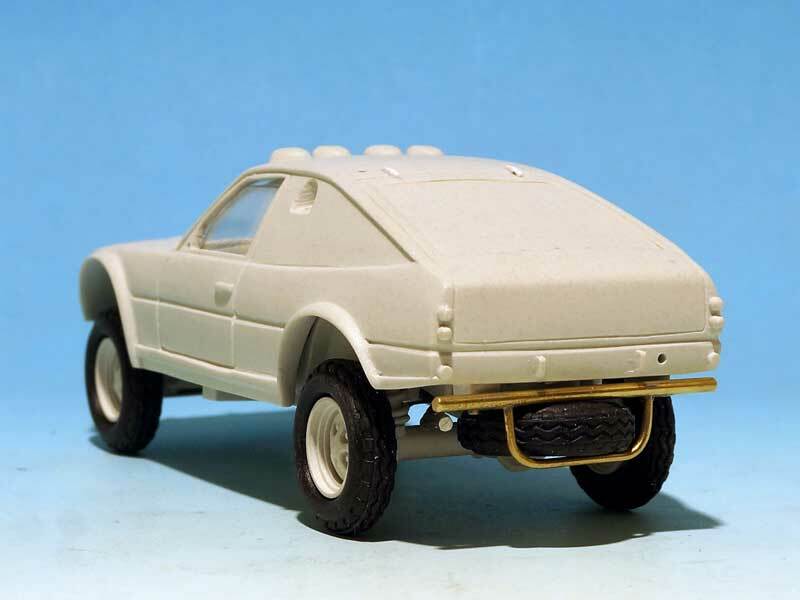 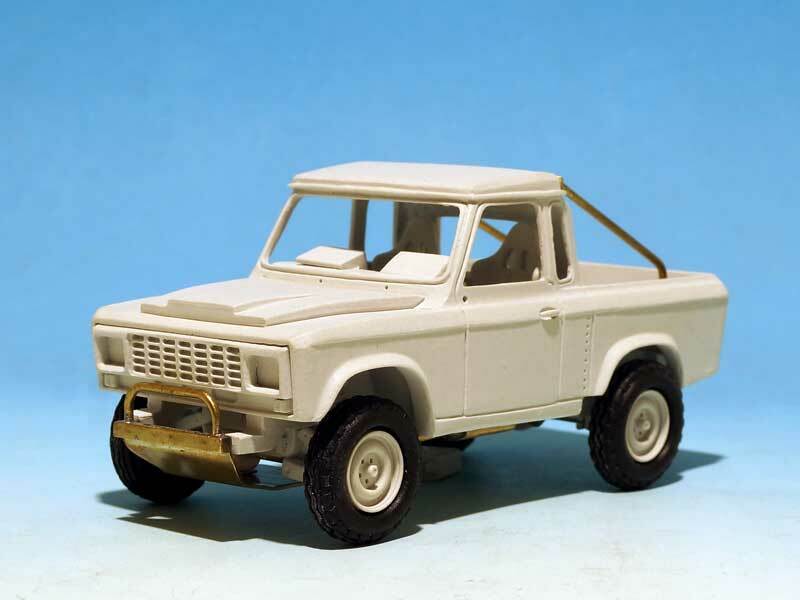 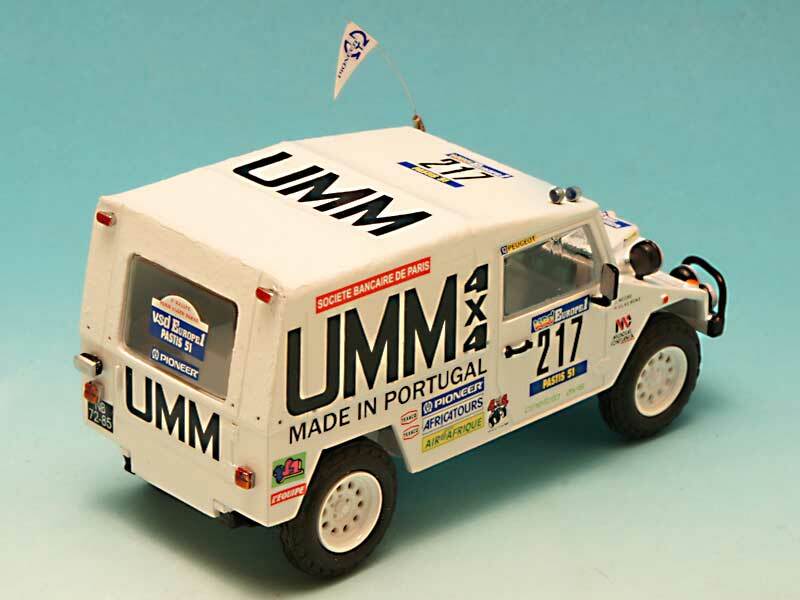 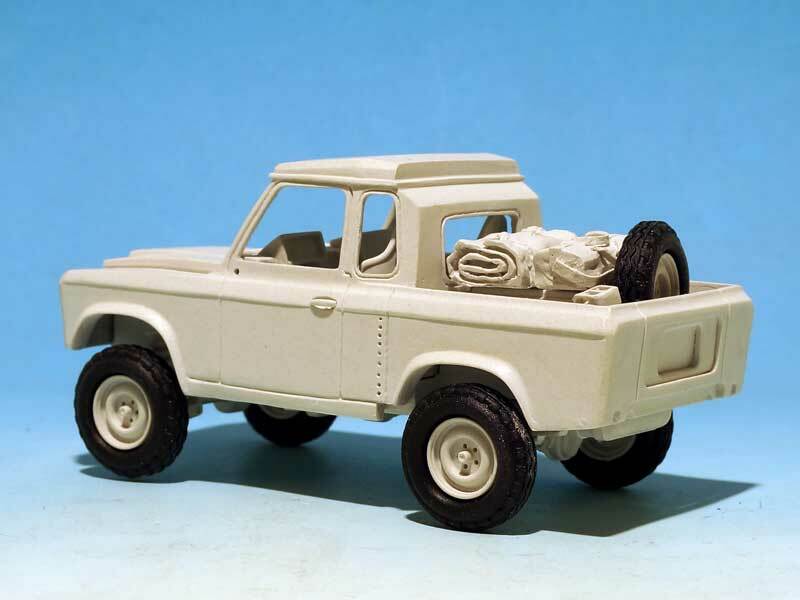 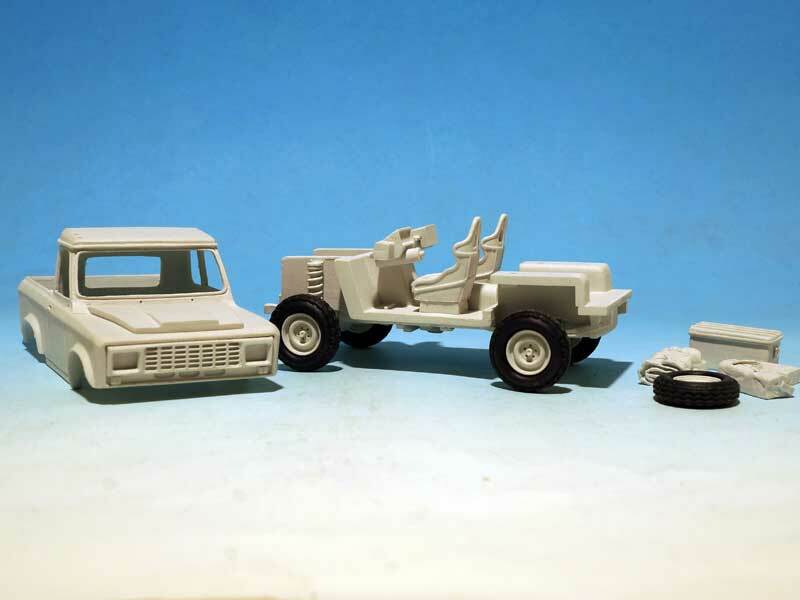 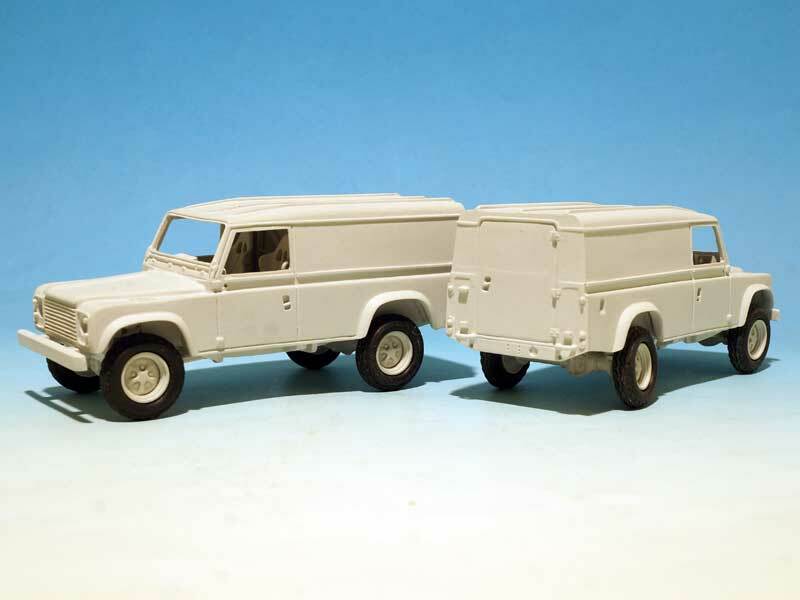 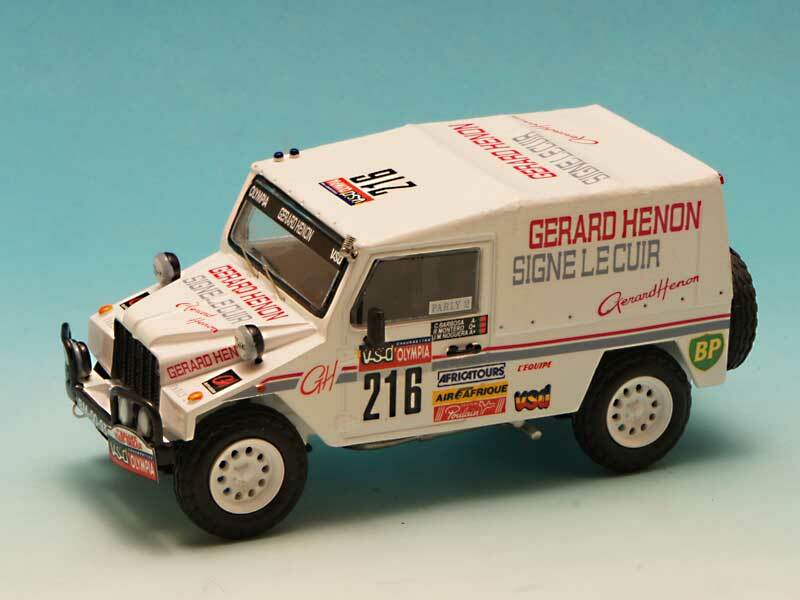 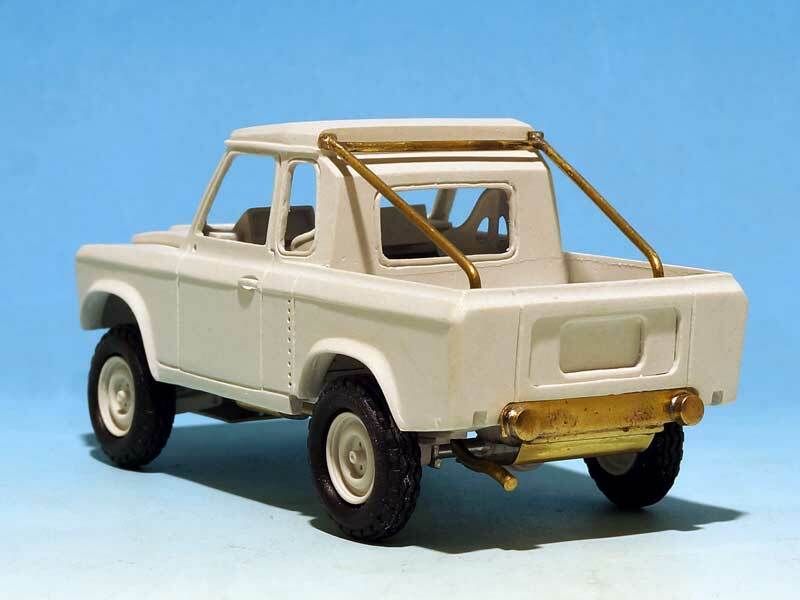 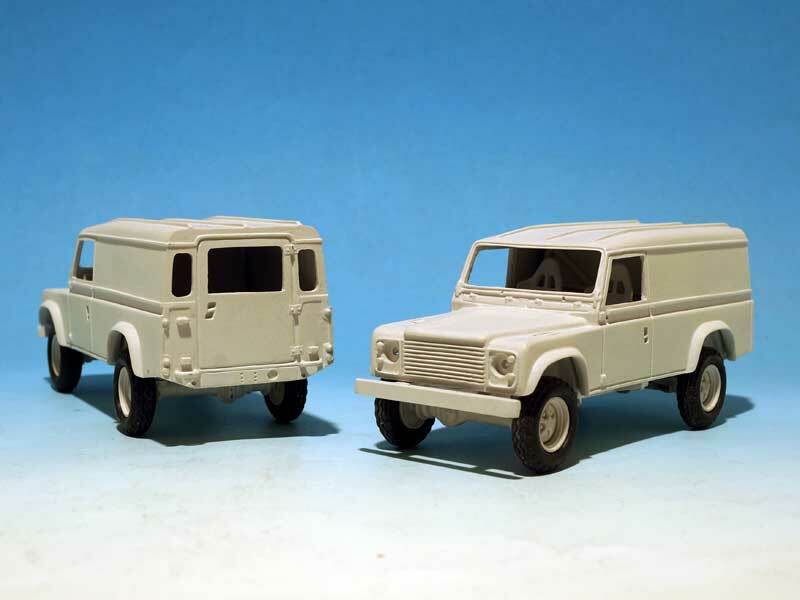 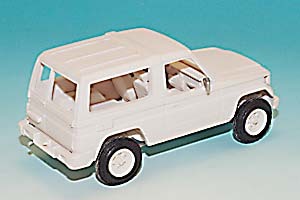 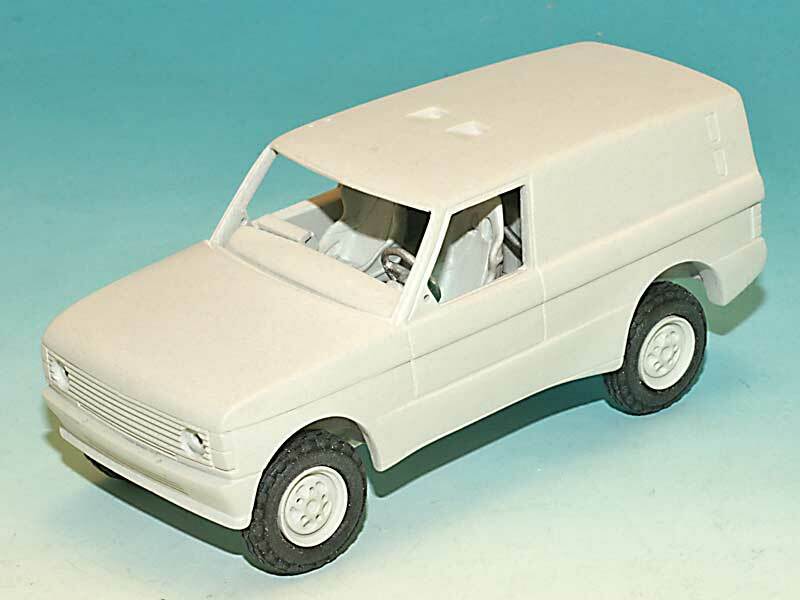 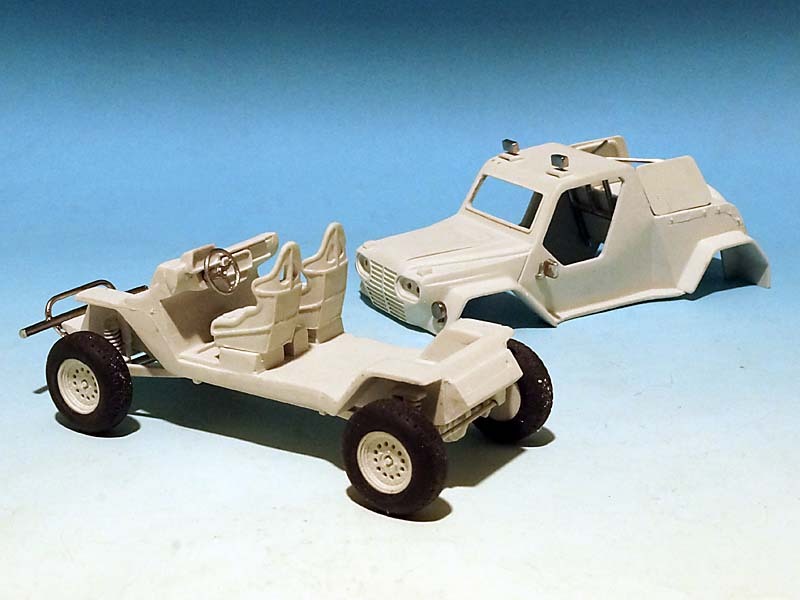 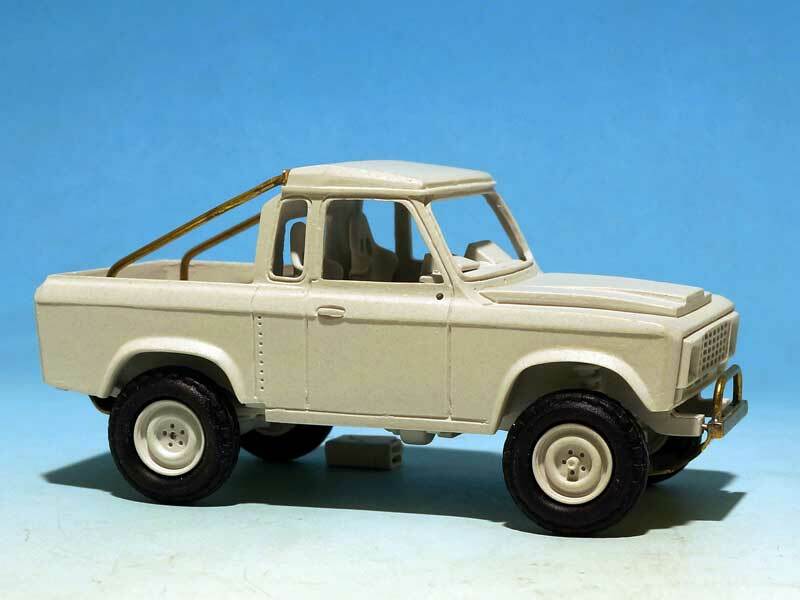 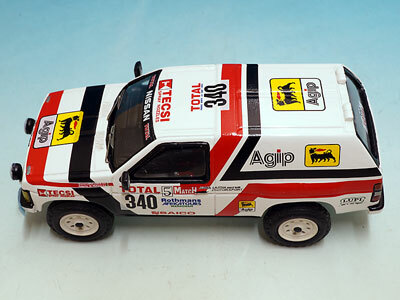 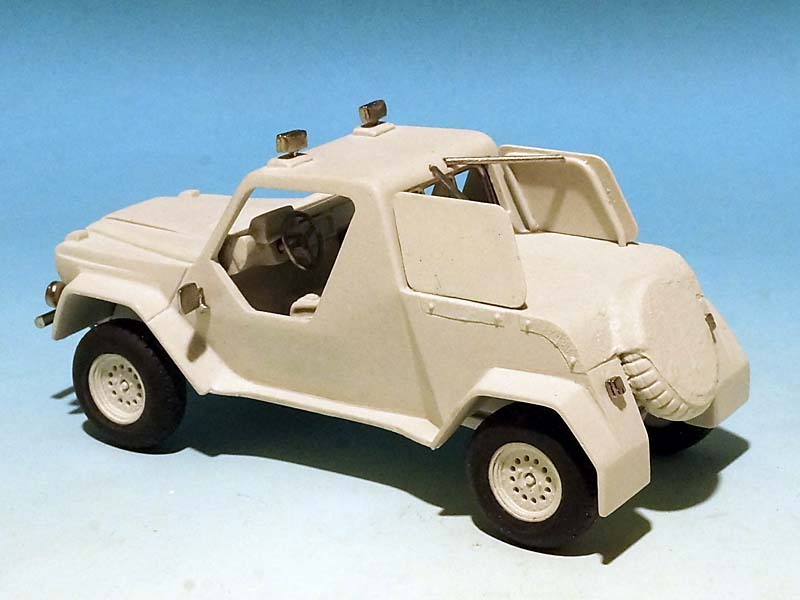 These two models are also available with either the rear panel closed or opened to realise with other decals many models that ran Dakar and other rallies. 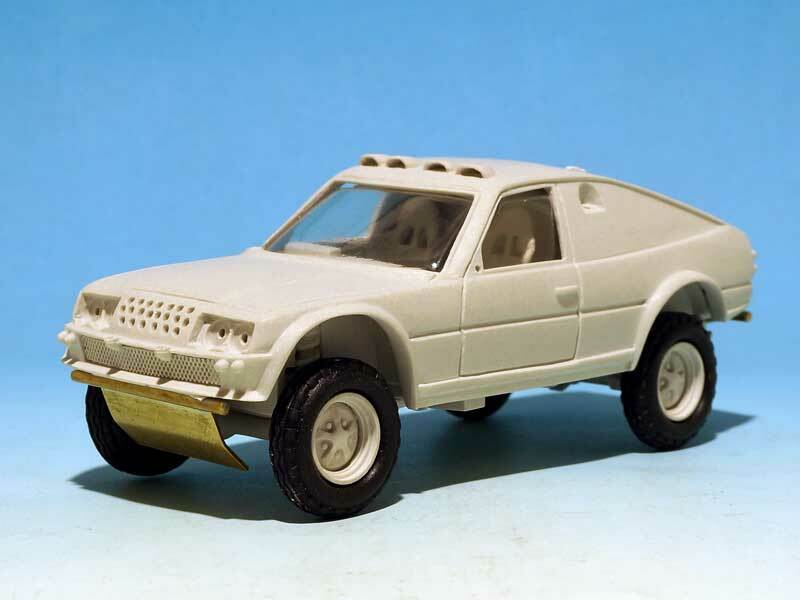 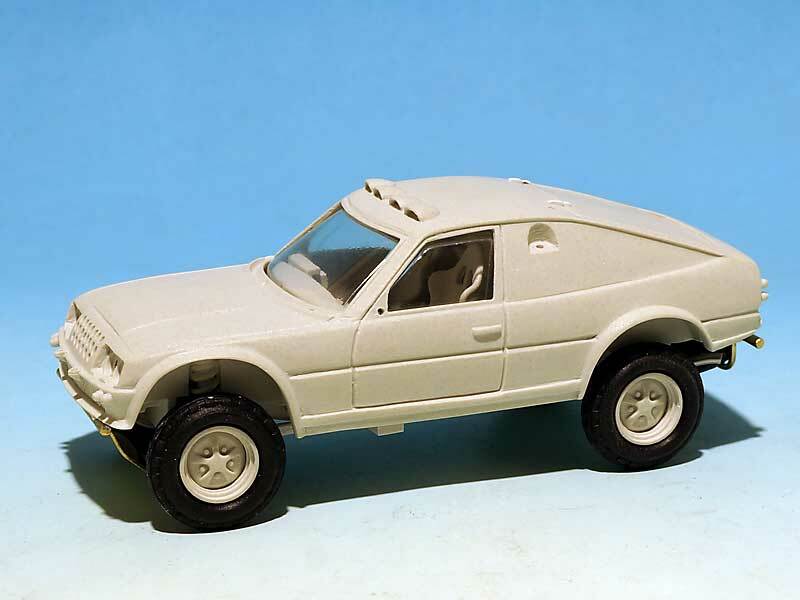 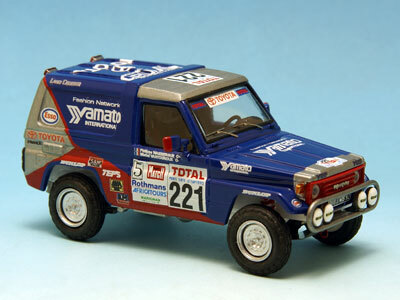 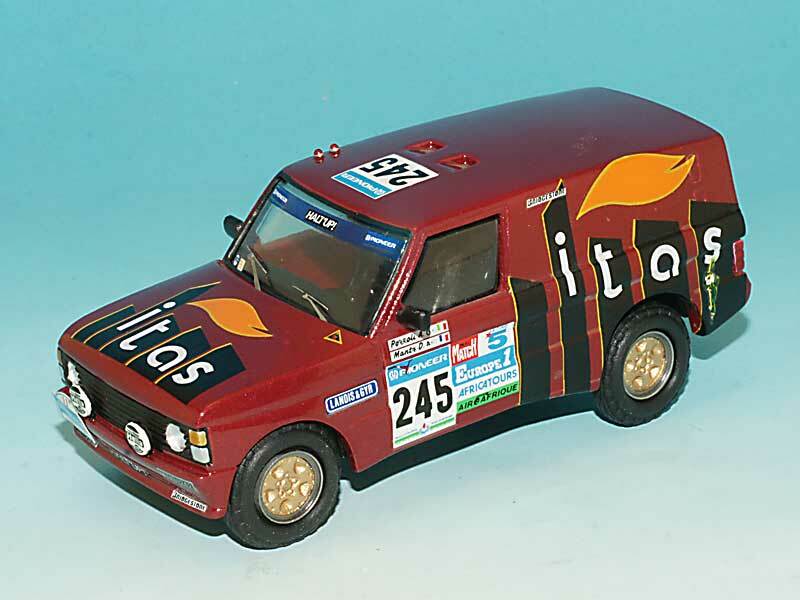 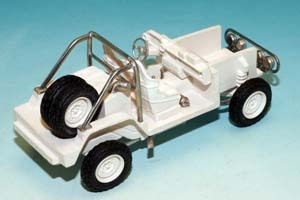 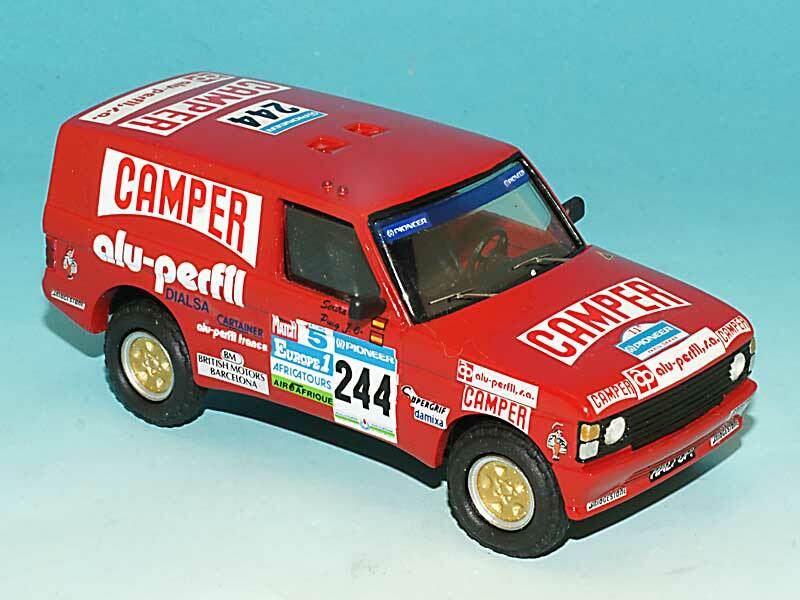 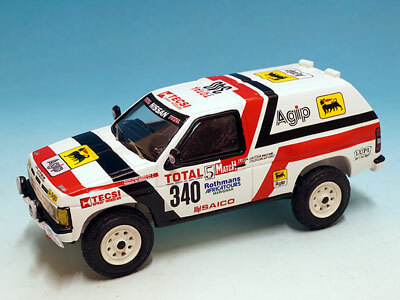 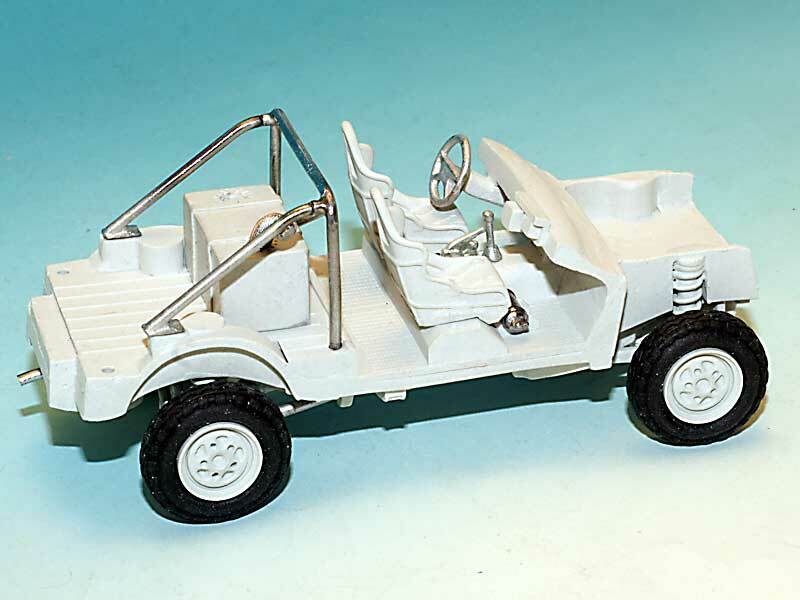 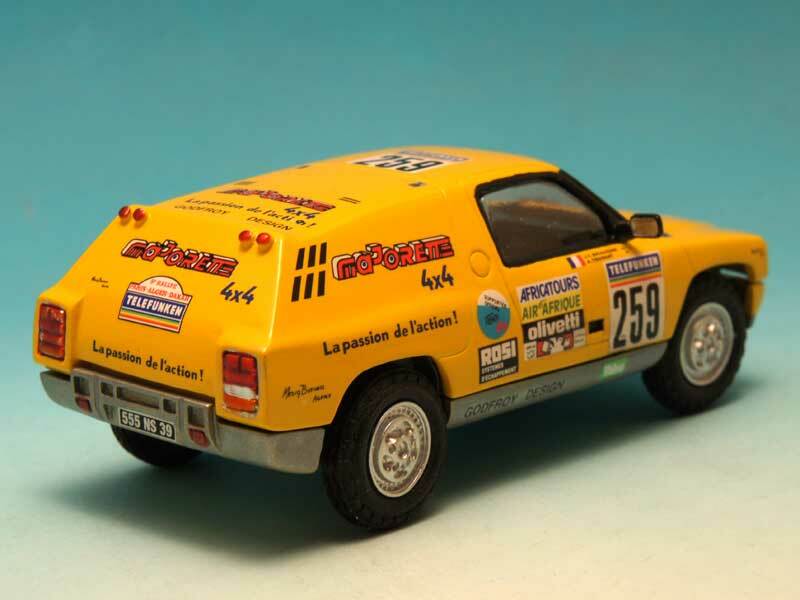 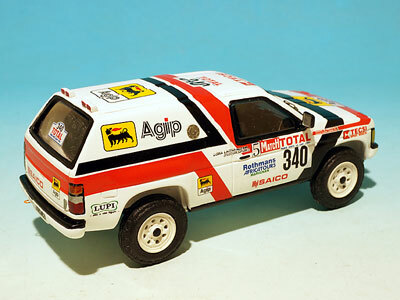 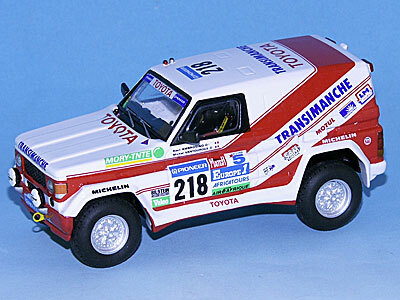 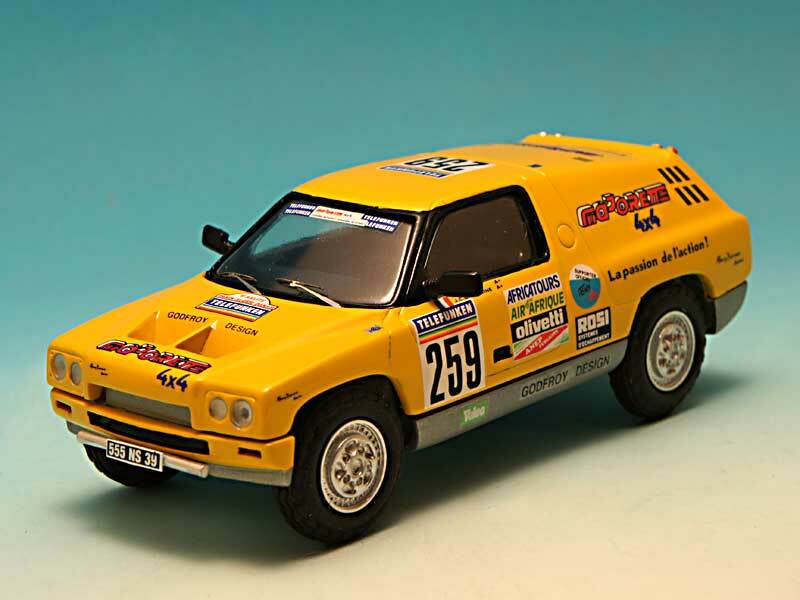 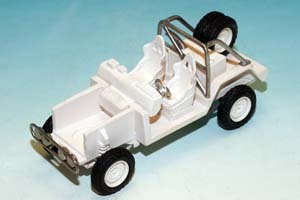 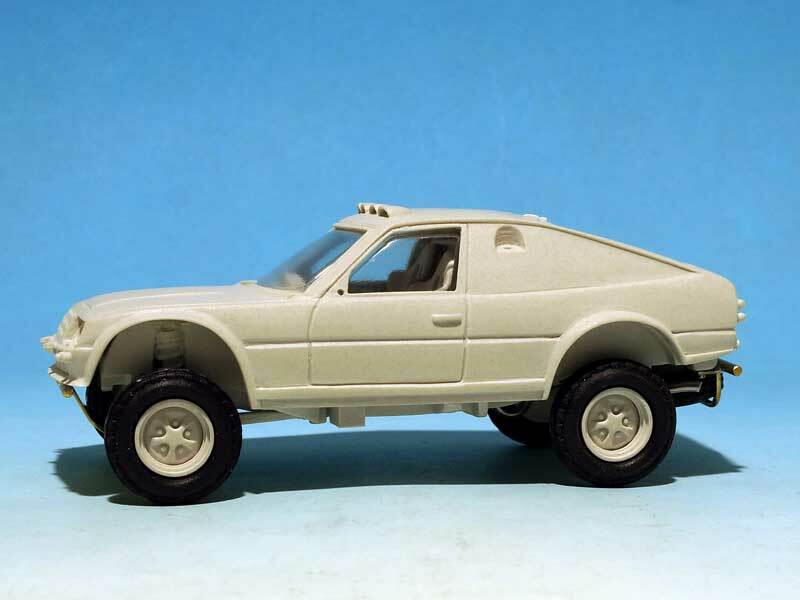 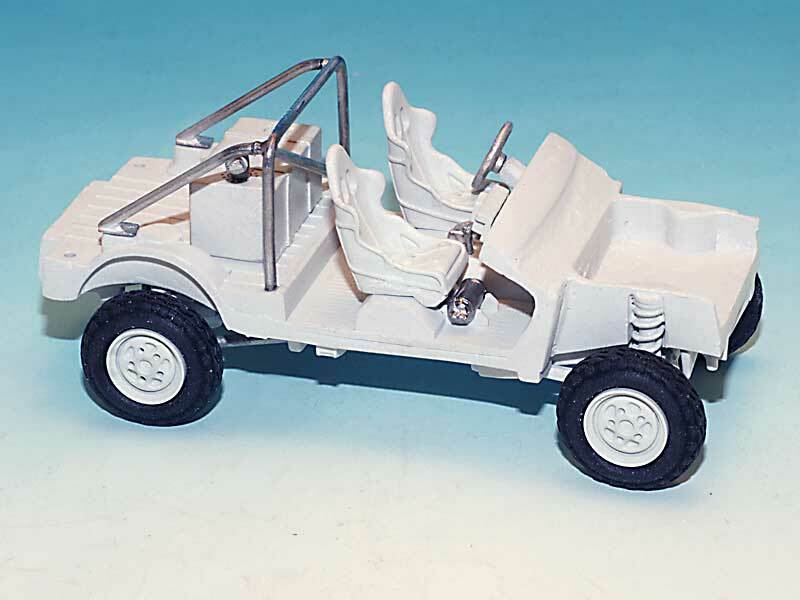 An exclusive model made for the Rallye Raid 43 Club, the BCBG Prototype which with J.C.Briavoine and A.Trossat ran in the 1987 Paris Dakar. 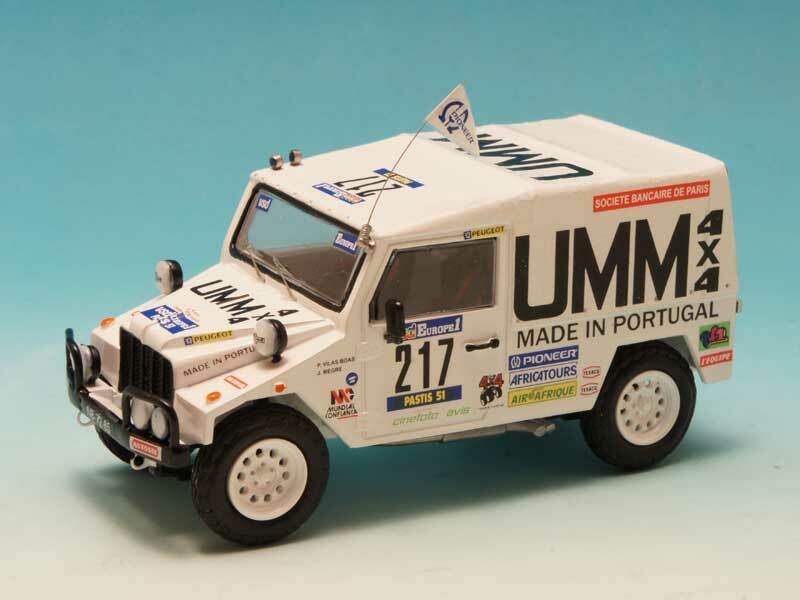 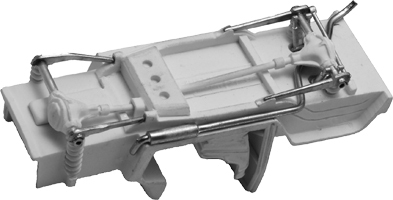 has been now improved, with a brand new detailed chassis, suspensions and accessories. 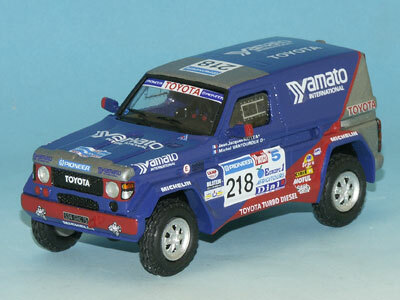 A long awaited new edition for these Toyota racers! 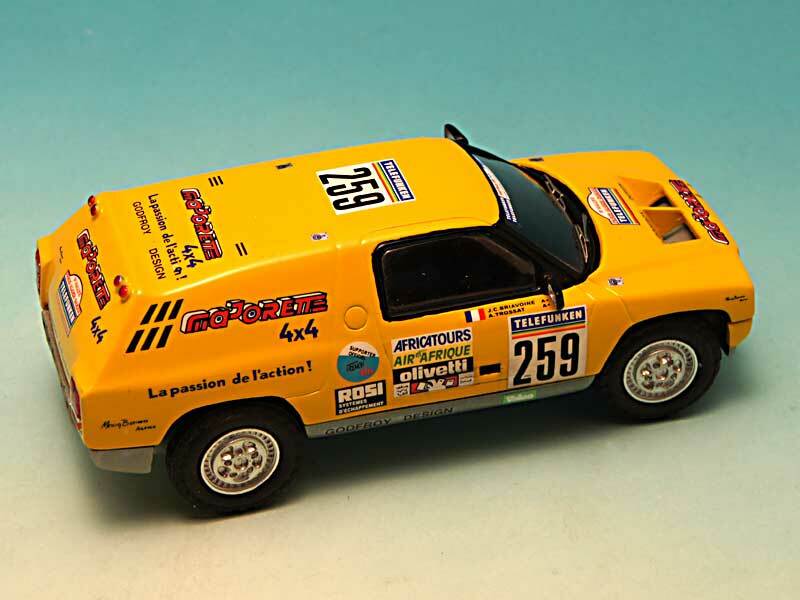 These cars first raced in 1987, with Pastis 51 as sponsor: the car n° 202 was for Henri Pescarolo and Patrick Fourticq, and the n° 203 was for Jean Pierre Gabreau, designer of the prototype and Alain Gabbay. 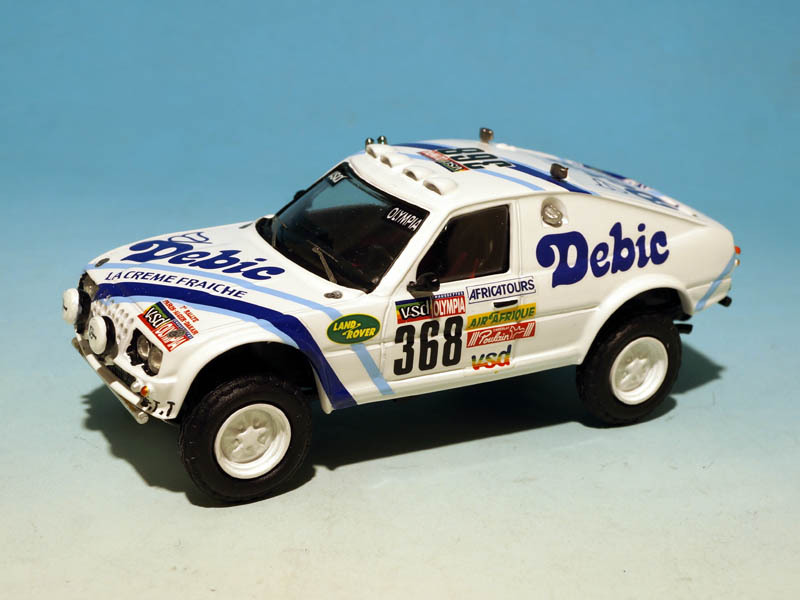 After a break in 1988, the modified cars entered the 1989 edition, with a diesel engine. 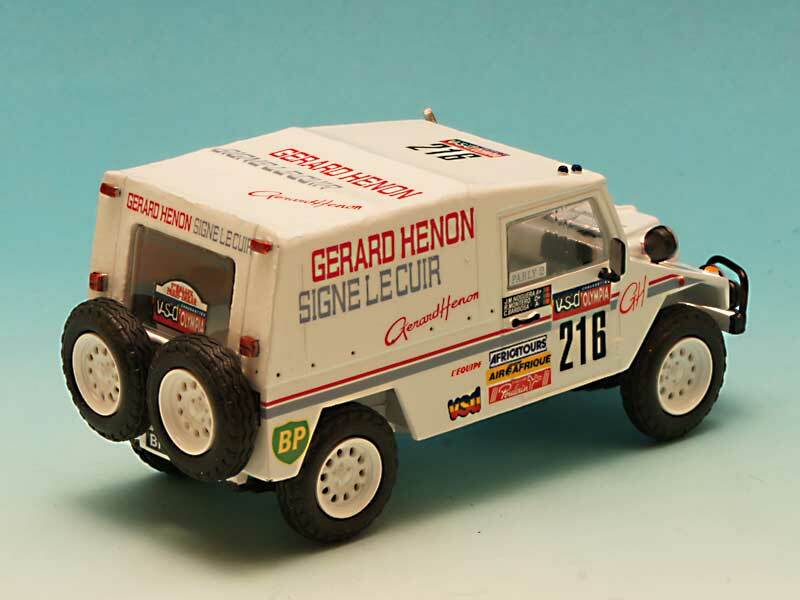 the car n° 219 with Toyota France for Gérard Sarazin and Gérard Troublé. 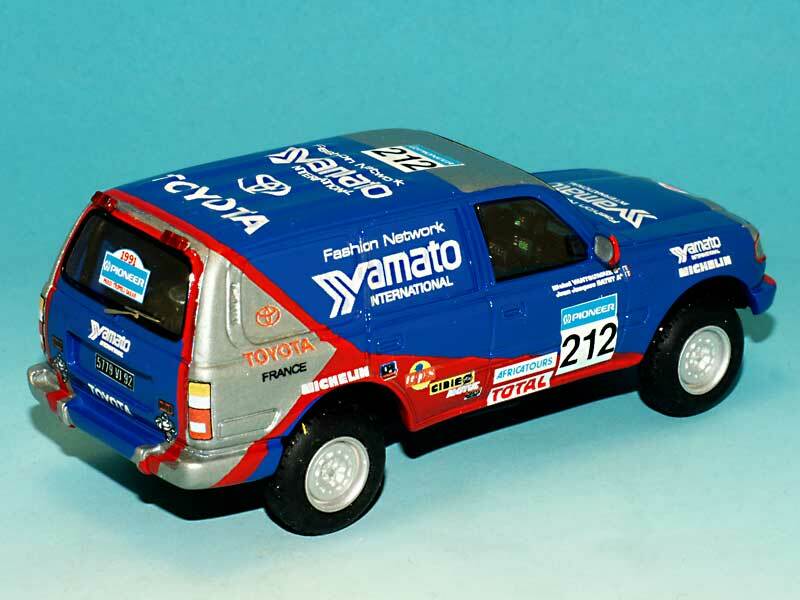 For the 1990 edition, Yamato is the main sponsor of the whole Toyota France Team, and among the different cars, two diesel protos are engaged: Guy Colsoul and Alain Fieuw in the n° 217, and Jean Jacques Ratet and Michel Vantouroux in the car n°218. 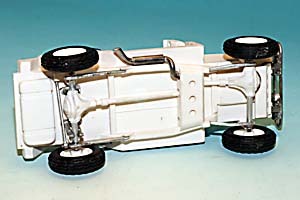 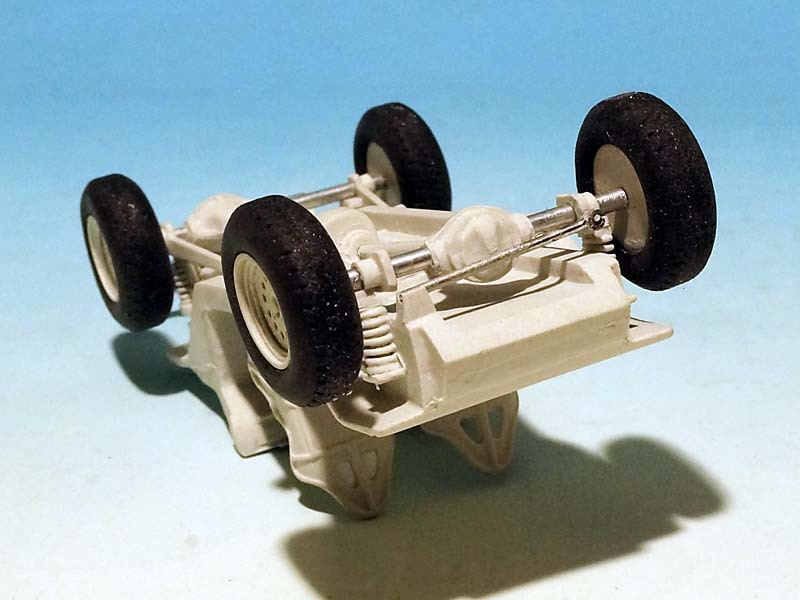 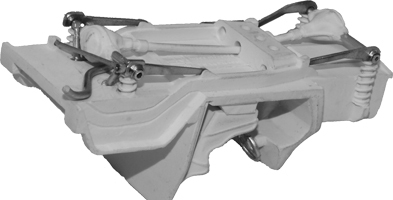 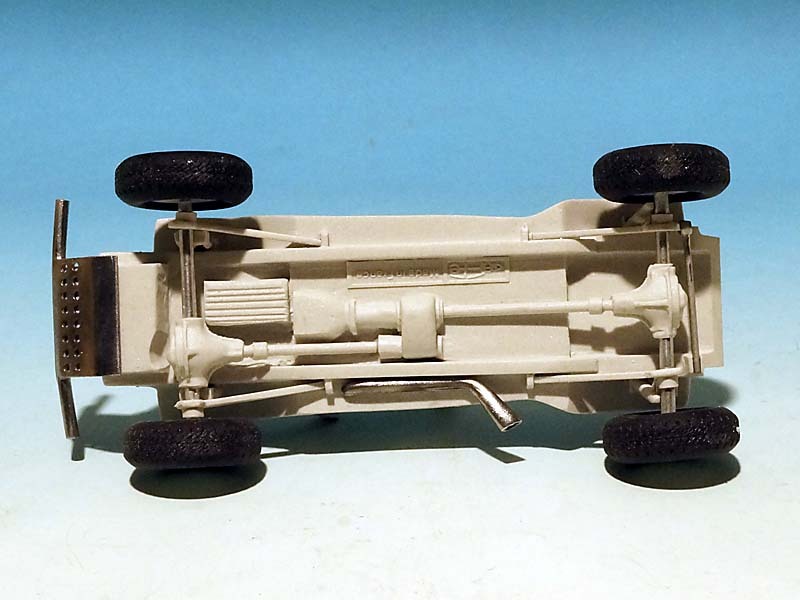 The models were made about twenty years ago by Daniel Bastien for Dan's Models, and the castings were made by Gaffe. 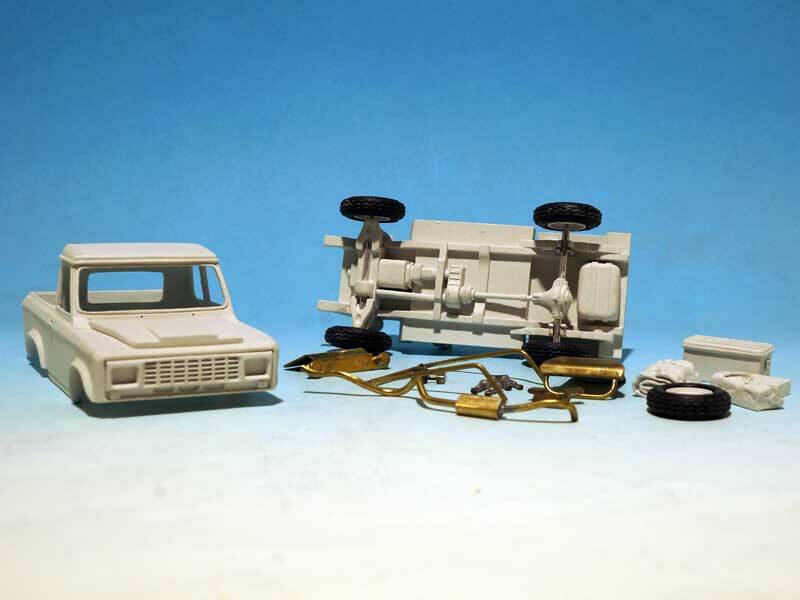 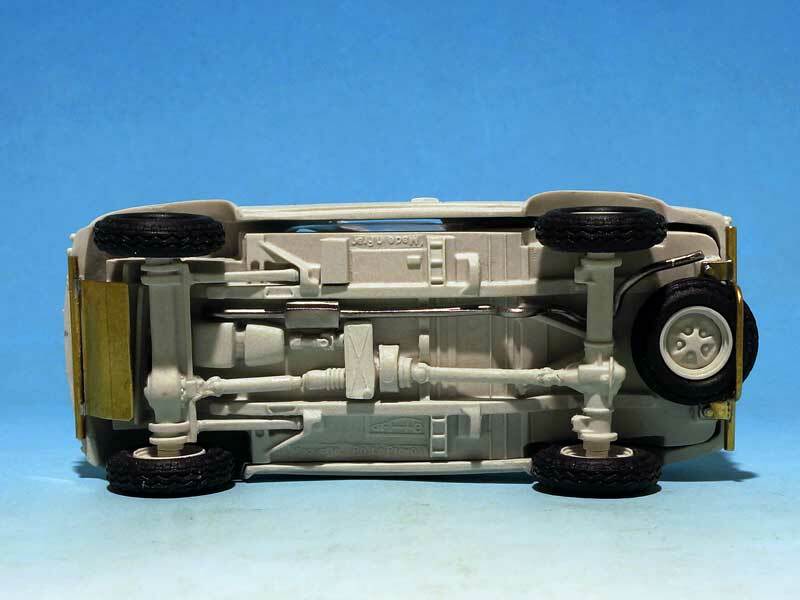 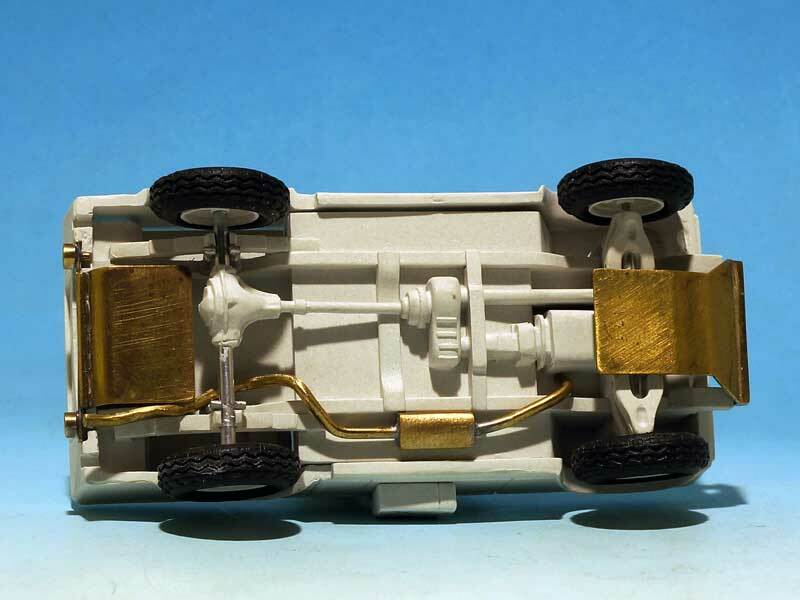 If the bodies are still good, the original chassis donot match what we now are willing for, and a brand new master has been made, with new and more detailed suspensions and transmissions elements.